Do you wish to make the most impressive remark on your relative audiences? Dr. Simon Casey speaks to inspire, inform and bring lasting impact to large-scale audiences. Whether it’s a public dealing or a simple workshop at a relaxed setting, he is ready for all. Inculcating positivity, along with 100% confidence-laid appearance in public, I am a pro at delivering the most people focused, well-polished communication for leaving the attendees astonished, at the end. He speaks to make a difference! 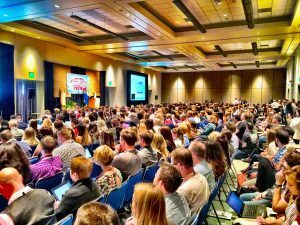 Keynotes speaking and presentations on stress and burnout, how to lead with intention, dysfunctional CEO, workplace bullying, sexual harassment, high functioning cultures. How to deal with negative employees and toxic work environment. Female CEOs, work place leadership. Get in touch with Dr. Simon Casey for a high-level language command and appearance-oriented professional speaking engagement services.